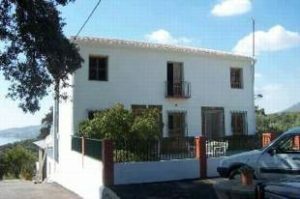 Please have a look at our small selection of country property for sale on the Costa Del Sol in Spain below. 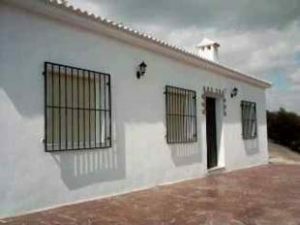 This detached cortijo-style property was built just 8 years ago. It sits on a plot of land 18, 000 sqm approx which goes down to the lake and also has excellent access. It is situated only 5 minutes from Iznajar´s town. Tastefully decorated and in excellent order it consists of 5 bedrooms, two living rooms, two kitchens, one of them with a nice fireplace, two fully-fitted bathroom along with a huge garage that could be converted into another house. Town water, electricity and phone line are already connected to the property. 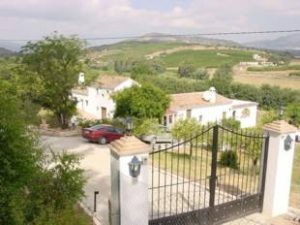 Charming and well located “really old Spanish cortijo” on 15.000 m2 land in the outskirts of Coín with a good access road right to the property. Renovated and extended maintaining the old style by using material that fulfills the overall look but obtaining very high quality. Comprising of hall, guest toilet, living room with large fireplace, dining room, further living room, large dining kitchen, wing with master bedroom with en-suite bathroom with shower and bath top, 2 bedrooms and 1 bathroom, 1 bedroom with en-suite bathroom on upper floor. A total of 310 m2. Must of the rooms of the property lead onto the terraces or patio and swimming pool, from everywhere you have views to the beautiful nature. Further more there are stables for 5-6 horses, they are in need though of renovation. If you are looking for at property of these dimensions you will hardly find it better than this – all buildings are registered. 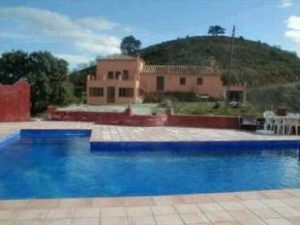 A large, 346m2 built, 6 bedroom country home between Colmenar and Casabemerja with 14, 000m2 of land. This property would make an ideal B & B, riding school, rural retreat or large family home. The accommodation compromises 6 bedrooms three of which have walk in wardrobes, 3 bathrooms, a 40m2 lounge, a separate dining room, large fitted kitchen, utility room and library. The main bathroom is 20m2 and has a large round bath and storage cupboard. The master bedroom is ensuite with a large corner bath. In addition there is a 120m2 garage which has been divided into a work shop, potential bodega, as well as space for 2 cars. There are two separate entrances – the main entrance leads into a vast hallway which is also used as a study and seating area. This in turn leads to 2 of the bedrooms including the master bedroom with ensuite, and to the lounge, dining room, kitchen and 1 of the bathrooms. The second entrance is through a bullet proof glass door leading into a small hallway to the kitchen which also has a utility room and separate larder. Upstairs there are 4 further bedrooms two of which have private terraces and the other two with walk in wardrobes. There is also a large terrace which is accessed through double doors from the landing. Outside there is a large veranda leading into a garden which has a pond and BBQ area. 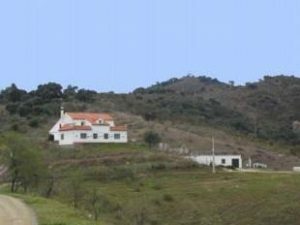 Charming 3 bedroom, 3 bathroom country house on a 66,000 m2 plot with plenty of space for another house to be built with its own water and electricity already connected. The original house is approx. 150 years old with the benefit of a new extension built in the traditional style. There is under floor heating, new plumbing and rewiring and the electricity cables are all underground. Entrance hall, 3 bedrooms (one has a private lounge with fireplace and steps up to an en suite bathroom, the bedroom has wooden floors and french windows with wonderful views, the 2nd bedroom has an en suite bathroom with separate shower). Steps up to a lounge with wooden floors and french windows onto a balcony overlooking the front driveway and french windows to a roof terrace with views of the swimming pool and surrounding countryside. Stairs down to a fitted kitchen with granite worktops, door to parking at side of house, shower room with further storage area. Door to day room with wood burning stove, 3 sets of doors and 8 double windows giving a conservatory feel, but with a normal roof. The infinity swimming pool has a saline cleaning system and is L shaped with a covered area for outside dining. There is a vegetable garden, an orchard with oranges and lemons, sharon fruit, avocados, almonds etc. a vineyard which produces 800 litres of wine. Fresh spring water and 2 wells. There is a workshop with its own water and electricity, Solar panels heat the water and there is also an immersion heater. An original bodega with all the wine making equipment completes the property. This is a lovely house, recently built, with approx. 60m2. At the entrance there is a lovely porch with views to the surrounding mountains and the village. The house has a living room with open fireplace and open plan kitchen. There are 3 bedrooms and a bathroom. The house needs a little renovation, eg. Some improvements to the kitchen or the bathroom in order to convert this property into your dream house in the mountains. This property has approx. 15.000 m2 of land including oaks, olive and almond trees. The views around the surrounding countryside are fantastic. The property has solar panels and a water deposit to hold any rain water, but we advise any prospective buyer to sink their own well to provide enough water for the house. Alternatively, water delivery can be arranged on a weekly basis. 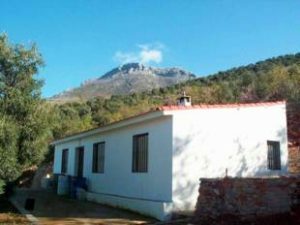 This property is located in a very sought after area with lovely views to the surrounding mountains, “Sierra de las Nieves”. This is a 3 bed villa in a lovely location overlooking Iznajar, s beautiful lake. Sitting on a plot of 3, 000sqm surrounded by olive groves. This is the perfect heaven for that getaway house.